Add Some Glitter & Glamour to Your Home! 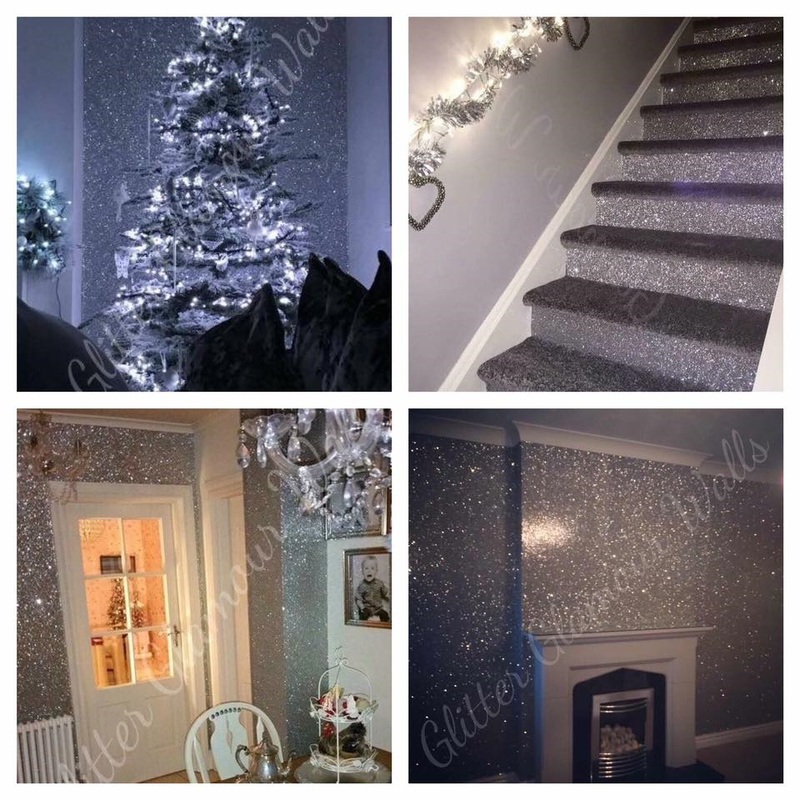 Here at Glitter Glamour Walls of Glasgow we specialise in glitter wallpaper, so if you’re looking to brighten your living room wall, bedroom, hallway or bathroom with some sparkling wallpaper, you have arrived in the right place as we specialise in all things glitter when it comes to wallpaper! We sell the highest grade, fabric-backed chunky glitter encrusted wall coverings by the metre and embossed shimmer glitter wallpapers by the roll to home and business owners across the UK and worldwide via our online shop. If you wish to transform the walls of your home with a splash of colour and added texture, our paste the wall, fabric-backed glitter wallpapers make the hanging process much simpler and leave you with a sparkly finish. 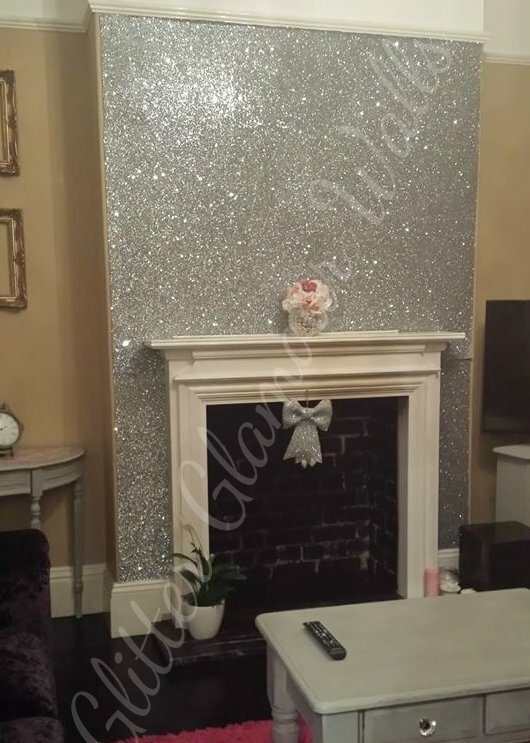 If you are on the hunt for a shimmering wallpaper or something with a bit more bling then we have what you are looking for and we are happy to help you choose a style and work out how much you need for your wall size. With so many styles and colours of wallpaper, border, and coverings available on our online shop, you’ll be spoilt for choice. From silver to gunmetal or rose gold, we are sure you will find one of our glitter wallpapers to suit your colour scheme. Why not order a few samples of our textured glitter wallpapers so you can choose which embossed paper or wall covering looks best in your home? If you already know which colour, pattern or texture of wallpaper you would like, you can order it straight away and we will aim to dispatch your paste the wall glitter wallcovering or sparkling wallpaper the next working day. Not sure how much you need to order? Contact us and we will be happy to help you work out how much you will need. Looking for some home accessories to go with your glitter wallpaper? 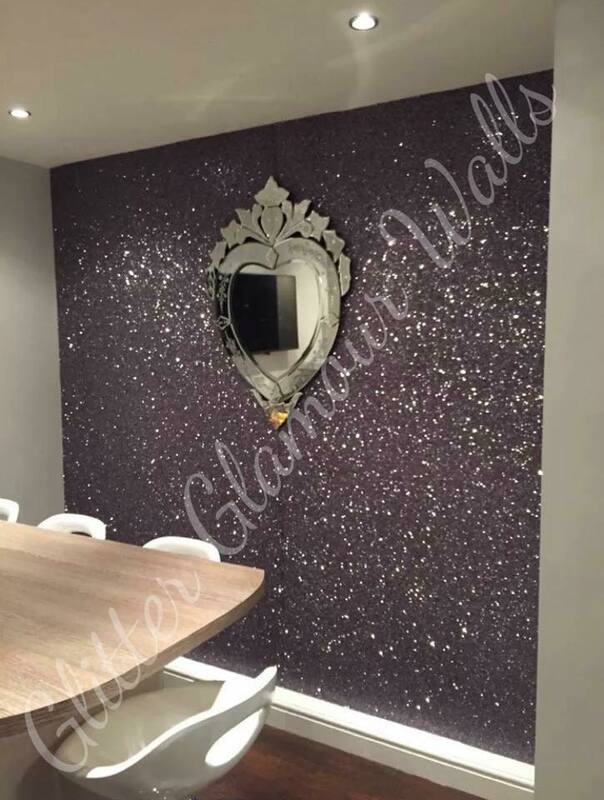 We have a fantastic new range of glam luxury home furnishings, accessories and glam glitter wall art that ties in perfectly with our glamorous glitter wallpapers! Want to have a look at our products in person? We have a showroom where we stock everything on the website plus much more. We are located in Glasgow city centre (check the contact us page for full details) or why not call us on 0141 552 0449.